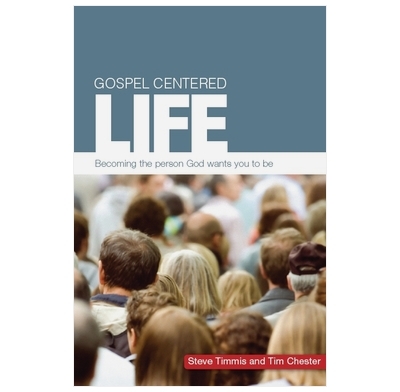 Discover how, in the gospel, everyday problems and experiences can be transformed. Read The Gospel Coalition's independent review. Meet James, who is struggling to relate the Bible to his dull, difficult life. Or Kate, who is trying hard as a Christian, yet is deeply disappointed with God. Or Susie, who dutifully shows up at church each Sunday, but feels alone and out of it. Or Andrew, whose courage fails him every time he tries to share the gospel with his workmates—leaving him feeling guilty and a failure. How can ordinary Christians live the truly extraordinary life that God calls us to? By focusing our attention on the grace of God shown to us in the gospel, everyday problems and experiences like these, familiar to Christians everywhere, can be transformed as the cross of Christ becomes the motive and measure of everything we do. Sympathetic to our struggles... clear and concise... rooted in the Bible... relevant to our everyday experience... Gospel-Centered Life shows how every Christian can follow the way of the cross as they embrace the liberating grace of God in Christ. Use this workbook to help you, your small group or your whole church grow into Christian maturity. 6.2" x 8.8" x 0.5"